A good domain name, a reliable web hosting, a usable website. You already have all these, but they cannot alone help you to build an outstanding brand! Fortunately, there are several tools available out there to help you towards this direction. One of them is Instagram. Chances are high that you acknowledge that this social medium is worth your attention. It has more than 1 billion monthly users (June 2018) and shows an incredible growth rate. 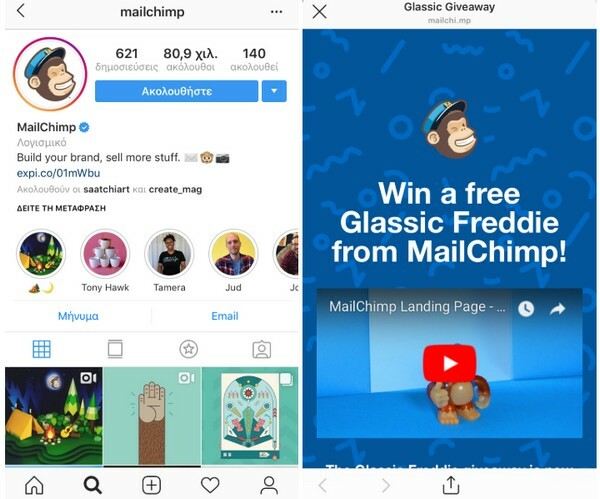 Moreover, it presents interesting commercial opportunities: 80% of users follow at least one brand on Instagram and 60% of users admit they discovered a product or a service on the platform! Still, it also has a complex algorithm that demands time and a specific approach. 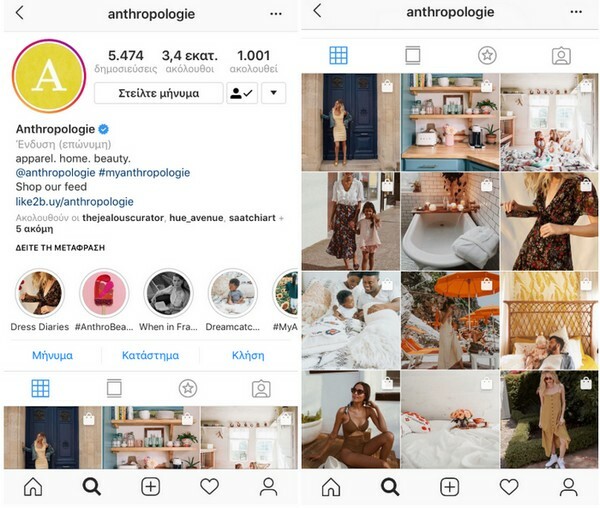 As a result, the web thrives on information about what to do and how to do it, what’s wrong and what’s right, when it comes to Instagram branding. And… you feel a bit lost, we know, but there is no need to worry. We are here to help you! Below you can find 5 basic tips, so as to work on building your brand effectively and efficiently, using this platform. Who are your ideal customers and what do you offer them? What do they want, what does inspire or frighten them? Make a precise description of the audience you are addressing. All these details will help you build a story that your brand will narrate through photos on Instagram. You should always keep in mind that your posts are not about you, your drink, your holidays or your concerns unless they are brand related or you are a celebrity. If none of these is the case, then the posts must address your clients’ interests, problems, desires. This way they will relate and proceed to the next step which will bring you profits. Check the example below. It’s evident that the brand knows exactly the target audience; the narrated story is adjusted to fit its needs. The aesthetics, the brand’s philosophy and the approach, are clear. Will my audience relate to it? Does it represent my brand? Have I written a good description? Is it the best I could do? Quality content must be your number one goal. Pick interesting, relevant photos or videos and combine them with powerful hashtags and valuable captions. Hashtags help new users detect and follow you. As for the captions, they are informative and/or inspiring. For sure, they play a significant role in the creation of an engaged audience. At the post below, we see a handmade product followed by a caption that emotionally connects the user. 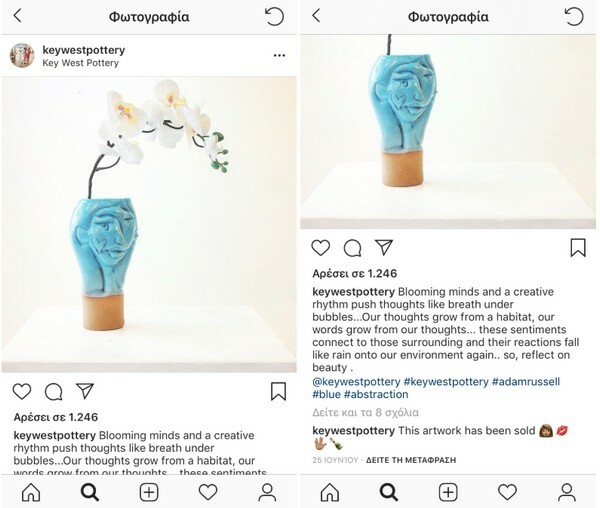 It reflects the essence of the brand, as the product is a work of art that combines pottery and painting, and relies on the feeling – just as the artworks usually do. It is estimated that only 10% of your audience is actually seeing your posts as the Instagram algorithm is mainly based on engagement (likes, comments, views, saves, shares, direct messages and any reaction to a post). The high engaged users are more likely to become your clients. And that’s because through your posts you become a part of their daily online routine. This gradually creates a personal connection with your brand! There are many ways to take advantage of the Bio space and add a more personal touch to it. As far as I am concerned, I prefer the direct and to the point way, so that the visitor can understand within seconds what the profile is about. For instance, at TopHost Instagram profile, we have this simple and helpful description: “Web Hosting// Domain Names // Grid CDN // Dedicated Servers // Extreme Support”. As you can see below, Mailchimp decided at some point, to offer a coupon code. One click and you were at the relevant page. 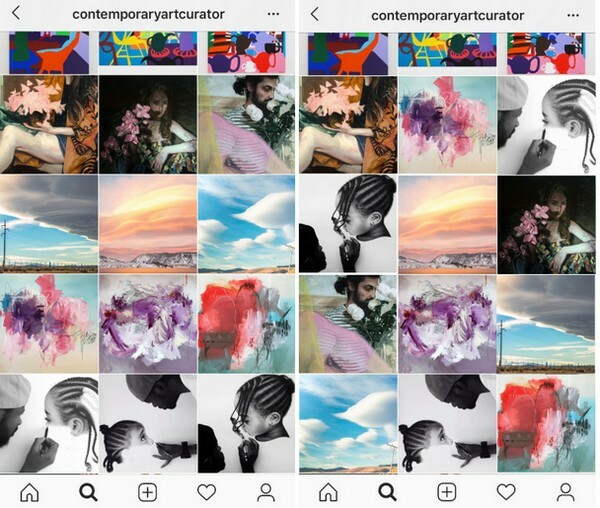 When on Instagram there are two ways someone can see your photos; either one by one, or within a grid. The grid layout is crucial mainly for the new users that are scanning through your profile. It plays a pivotal role in whether you will gain that one more follower. Here, aesthetic is everything. Imagine that your profile is an online magazine of your brand. You want to provide as many information as possible aiming to attract the reader. You want him/her to eager turn to the next page. Let me make it more clear. At the left image of the collage above, the e-magazine has chosen to present 3 artworks per artist. It’s a smart move because the grid is neat and cohesive. At the right image, I have mixed up the photos of the initial grid. As you can see, the result is not that attractive. You can pick this layout or think about what else could suit you best. The point is to understand how important the aesthetics is and tailor it to your style. If you stick on color harmony and avoid being repetitive with your photos, then the result would be satisfying as well. 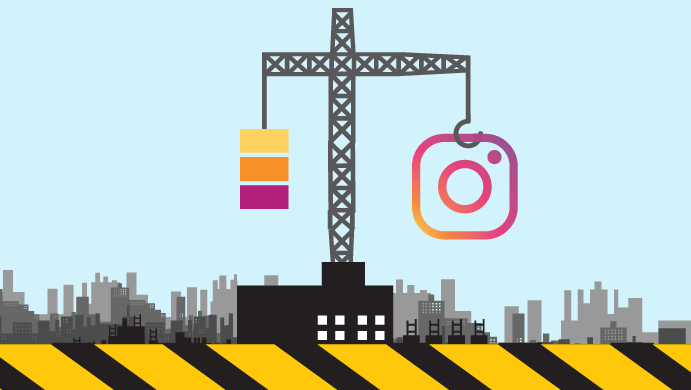 Instagram seems to keep growing bigger and this probably means new tools and more choices in the future. It would be useful to experiment with anything newly launched and implement it in your strategy if of course suits your brand’s philosophy. Stories. Saving the stories that were successful is a good addition to your profile. They will be displayed just before your photo grid. Polls. They provide live results and create interaction with the audience. Multiple photos/videos on one a post, when a single picture is not enough. Promotions. Attraction of new audience. Building a brand on Instagram requires a basic knowledge of marketing techniques that you can obtain easy enough. Audience, brand’s philosophy and strategic plan, are the basic pillars to achieve your goal. In this article, I shared some guidelines for a good start. You can do your own search and deepen your knowledge in each field. In any case, when posting, try not to forget the ideal customer, his/her needs and the road that leads to his/her satisfaction. Oh, and always keep in mind that technology changes consistently! Try to be updated and adapt anything interesting that suits your brand’s profile. ← Our New Year’s Cake cutting event was full of imagination! How to add custom CSS to your WordPress website?